There's nothing quite as welcoming as a touch of plaid. 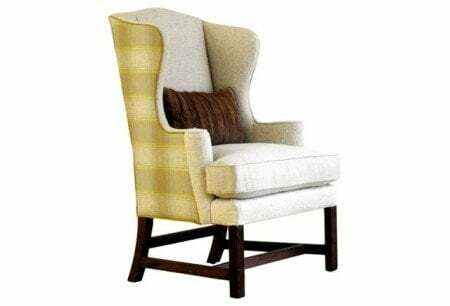 From a plaid scarf wrapped close to keep out the cold, a black plaid chair to snuggle into or an ottoman, for lots of hot cider or chocolate, if you please. 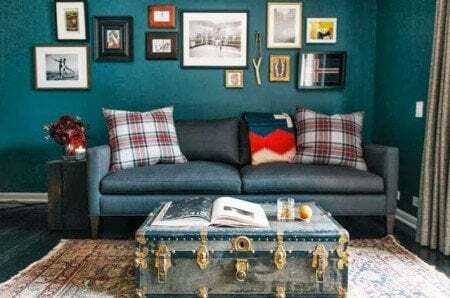 If you have buffalo plaid or tartan on your mind, rug up in chunky sweaters, layer the throws, good books and heavy house socks! It's fall and time for plaid! It might go in and out of fashion but this year plaid lives strong in every size, fabric, and style. More contemporary than ever; from slick silks to modern vintage. Used simply for a more minimalistic approach, or layered for the full festive fever. 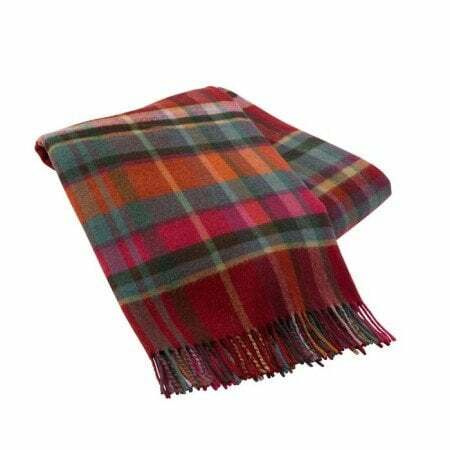 Plaid is a pattern on woven cloth consisting of crossed horizontal and vertical bands in two or more colors. 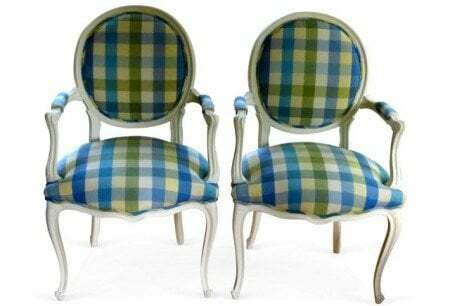 Common plaid patterns include Gingham and Border tartan (think Check pattern), Tattersall (alternating wide bands and narrow bands of contrasting colors) and Madras. 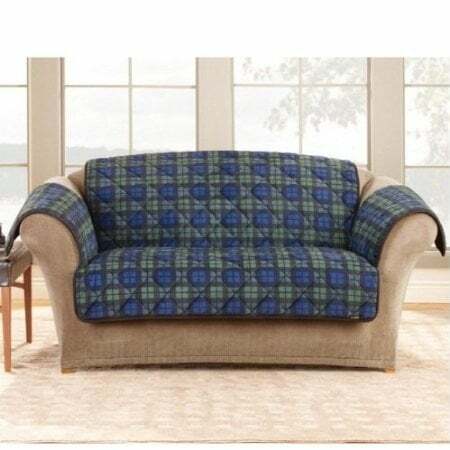 If you don't already own well worn and treasured plaid fabric pieces, maybe its time some to your favorite room. Play with color palettes if to get the right color scheme for your rooms. Plaid Wingback $2,995 - Eight-way hand-tied all natural cotton, with coil springs, horsehair. You don't have to add a lot - warm woolen blankets, a handsome dog jacket or a check chair are enough to set the fall scene for the coming months. 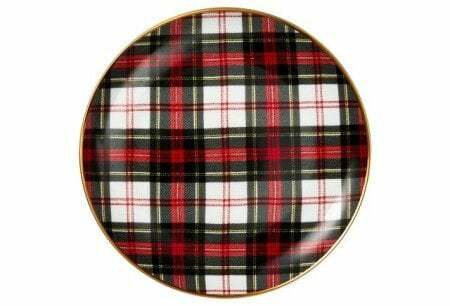 If larger home decorating items are off the list, how about plates, place mats or a cute phone cover? 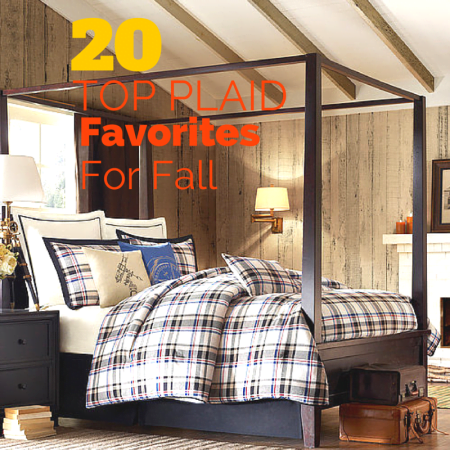 Here's a selection of 20 top plaid favorites, that I had fun searching for, to get ready for warm cider at night and a lie in in the mornings. 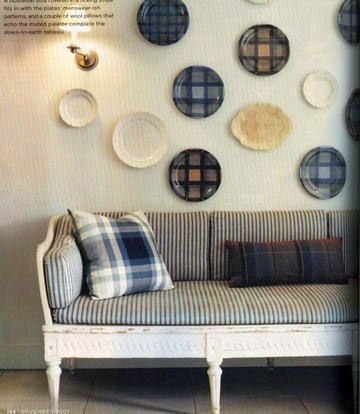 Tartan Plates porcelain plates - buy or make your own & copy this plate hanging wall decor idea! Fun Dream phone cover $44.99 that you can personalize. Great gift idea too. Italian Lambs Wool Throw- perfect fall colors! $149 from Lands Downunder. 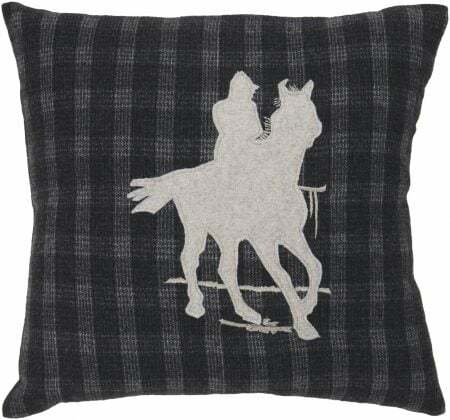 This cozy country cushion would look suit any room; neutral or bold color schemes and just in time for fall. $22.51. Graham Brown Plaid Wallpapers $34 a roll use on a wall, table or bookcase. Adding a layer to your walls, table or a book case can spice up your home decorating in just a few hours. If you prefer to paint your walls, there's a Youtube video below for quick, easy instructions to paint your own. 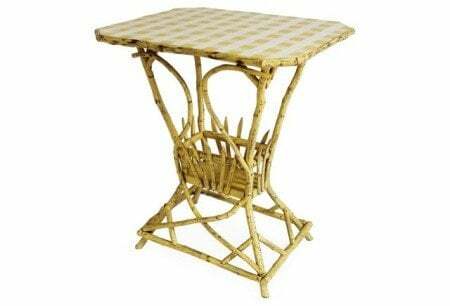 It's actually a good guide to creating any plaid pattern whether on a table top, wall or tray. 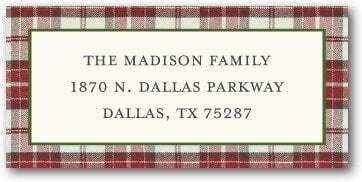 Pottery Barn Return Address Labels from Tiny Prints starting from $8. Just adding cushions to your sofa can set the tone for the new season. Choose colors and color widths that go with your existing home decor. Plaid cushions help create a festive feeling, but autumn and winter are all about layering. 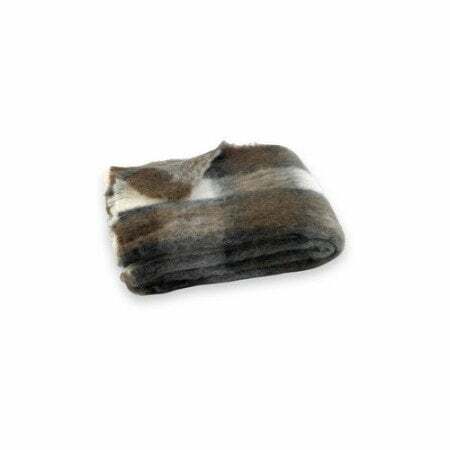 Add a gorgeous Alpaca throw to keep you snug and cozy like this Lands Downunder Alpaca Throw - made in New Zealand $298. It will last you for years! 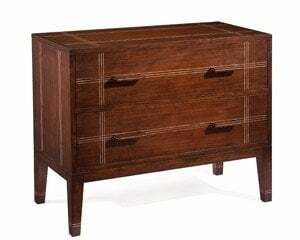 If you're not a fan of painted furniture, and love the warmth of wood, this custom made wood chest by John Richard is veneered in American Black Walnut and a Mother of Pearl inlay. It's a perfect piece for fall. More details here. 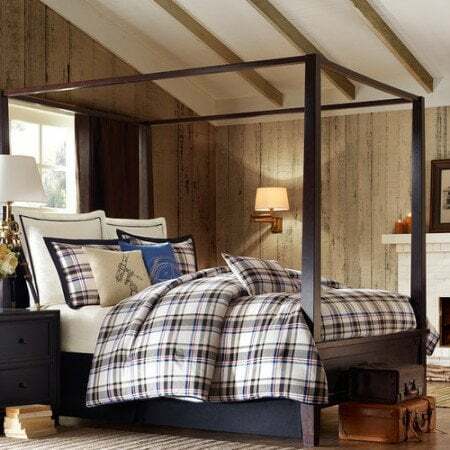 Woolrich Big Sky Comforter Set for those cold autumn nights! Layers of flannel, tartans, and wool will keep you warm in bed and fall-ready. 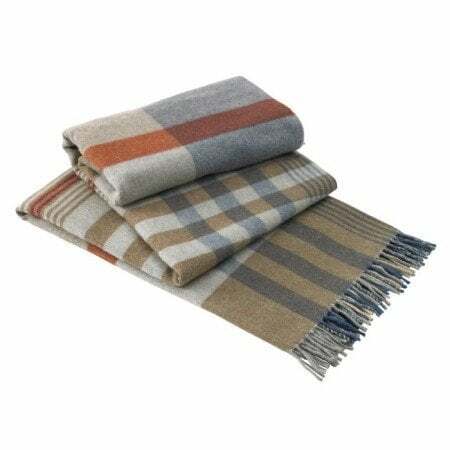 Or maybe the addition of this Italian Lambswool throw will take you from fall to the holidays with its warm festive colors. You don't need a lot of plaid to make a statement. 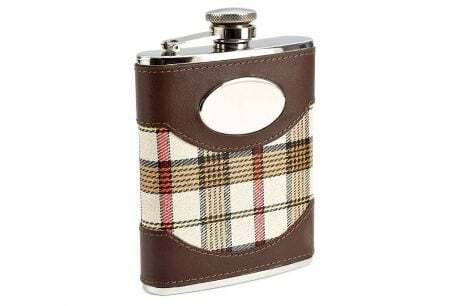 This cute flask will take you anywhere! It's perfect to take fishing, to the polo or on a cold evening walk. It's classic and a great gift idea too. 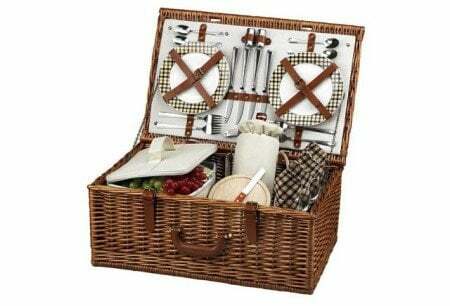 While the weather is still warm enough for outdoor picnics, it might be time to make up a plaid Picnic Basket. 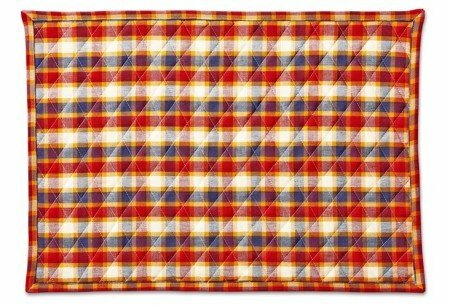 What about adding some bright, broad plaid place mats in core red to your kitchen table. Vintage French Style Chairs - these tartan plaid chairs will work in any season .. and of course, fall! If you have pets and can't get them to sleep in their basket, no matter what, then this next idea will save your sofa. It comes in different sizes and is machine washable. Create your own trelliage plaid table! 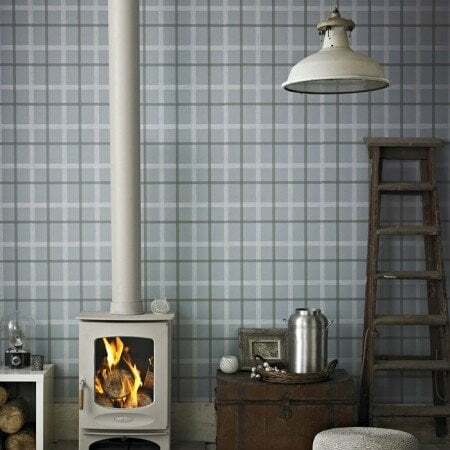 The video below is a great template on how you can create your own plaid patterns and customize for your own needs - a bedhead, wall or even desk. Hope you enjoyed this post! There's more to read below or join the list! Yes, getting into the groove of fall and lots of plaid is coming out of my drawers. Love these ideas. Fall! Can you believe it? I've only just packed away last Christmas! Love the pet bed BTW. 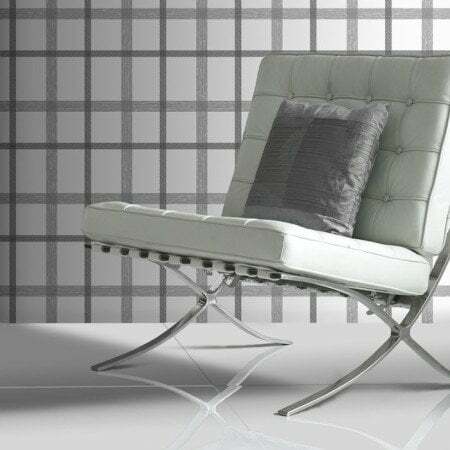 It depends on your priorities and your budget but a plaid ottoman could work really well. Otherwise, you could invest in a few small items but try to tie them together or it might look a little piece meal and mean. Hope that helps. Haven't seen any daily updates since oct. 2014. I've been busy with other work and just haven't had the time to blog.. it's driving me crazy. I hope to get back to it soon. Thanks for asking and caring!